Racing Brake Brake Pads - Dezod Motorsports Inc - Home of the automotive performance enthusiast since 2002. PERFORMANCE STREET: ET300 – Delivers the braking performance beyond street driving, yet very low dust and no squeaking. Less torque and initial bite as compared to DTC-70. Provides outstanding lighter weight vehicle performance. 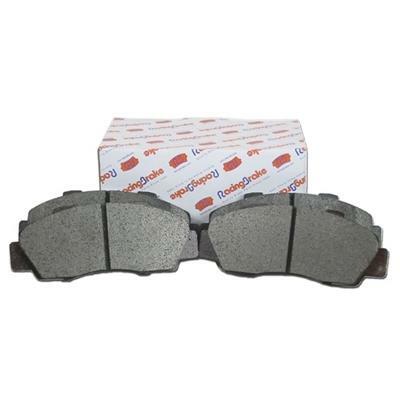 Perfect for drivers who prefer split friction levels between front and rear axle. Excellent release and modulation characteristics.